National Care Association values the contribution our sponsors make to the social care sector in their unique way. In order to ensure we harness the most effective support we have created a NCA Sponsors Board which meets annually to consider and respond to the challenges our members face. We pride ourselves on our collaborative approach with our sponsors where we are fully committed to working together to achieve excellence for our members and those they serve and to bring change and innovation for the benefit of the sector. Mat is the Managing Director of Quality Compliance Systems (QCS), the UK’s leading supplier of compliance and policy management. QCS was founded in 2007, with Mat joining in 2010. During his time at QCS Mat has overseen the company grow from a 20 client, £30,000 a year business to a multi-million-pound company with over 20,000 users nationwide. QCS’s client-centric approach ensures that their management system provides a superior level of service, allowing users to concentrate on delivering excellent care for outstanding value. 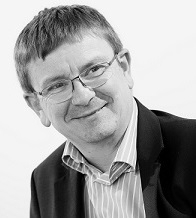 David Taylor ACII is a Divisional Director at Howden Care. With around 40 years experience in the commercial insurance sector, David has covered many placement and leadership roles within the profession. 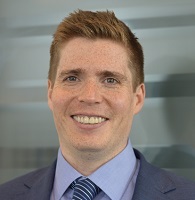 Having spent the previous 5 years with operational and performance responsibility for the Care Insurance business within another UK national insurance broker, he moved to Howden in 2017, taking responsibility for the Care division in 2018, with the aim of delivering the highest level of service and advice to clients in the care sector. 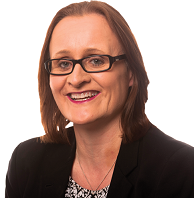 Allison joined Healys in February 2015 as partner and head of Employment team. She represents employers and employees across all sectors, specialising in HR, recruitment and employment law for care homes. Working closely with the National Care Association, Allison gives regular talks, advises members on employment issues and provides training to care home providers. She prides herself on giving proactive advice, tailored to meet client’s specific needs, which will help form positive working environments. Over the years, Allison has advised senior figures at FTSE 100 organisations, financial service businesses and high profile banks, specialising in exit procedures, high priority employment issues and dispute resolution. Allison has developed a strong reputation for her high standards of service and for her results-driven approach. Her advocacy skills mean she is particularly effective at defending and pursuing employment litigation.